Gulfstream Park Racing & Casino is a racetrack and county-approved racino in Hallandale Beach, Florida, in the United States. During its annual meet, which spans January through April, it is one of the most important venues for horse racing in America. Gulfstream Park was opened on Wednesday February 1, 1939 conducting a four-day meeting. The initial meeting had a crowd of 18,000. In 1944, the track was reopened by James Donn, Sr. for a 20-day meeting in December. The Gulfstream Park Handicap was first run in 1946 and the Florida Derby began in 1952. In that year the clubhouse was built and the Grandstand seating was expanded. Gulfstream Park introduced turf racing for the first time in 1959. In 1961, James Donn Jr. succeeded his father as president of Gulfstream Park. In this year the Clubhouse was enlarged and the then-world's largest totalisator board was installed in the infield. A big break for Gulfstream Park came in 1972, when the track was awarded "middle dates" for a 40-day January through April meet. In 1982, the Grandstand was renovated with new architecture and in 1984 the renovation of the clubhouse was completed. In 1986, the renovation of the track was completed with the new Gulfdome, a domed dining terrace. In 1989 Gulfstream Park hosted the Breeders Cup for the first time (which it did again in 1992 and 1999). In 1990, the track was purchased by Bertram R. Firestone. In 1994, a half interest in the track was sold to Nigashi Nihon. The track was purchased by Magna Entertainment Corporation, in 1999 for $95 million. In 2010, the ownership of the track was taken over by Magna parent MI Developments Inc. (MID). The track began a $130 million renovation of the grandstand and clubhouse in 2004 and slot machines were approved for the track in 2004. It shares the races of the Sunshine Millions with Santa Anita Park. The renovation, first effective for the 2006 spring meeting, was heavily criticized by racegoers and commentators, who felt that the new racino laid its emphasis entirely on the casino part, destroying the racetrack's atmosphere. Main Track: 1 1/8 mile, oval. Distance from last turn to finish line: 898 feet. 12:00 p.m. on Florida Derby Day. 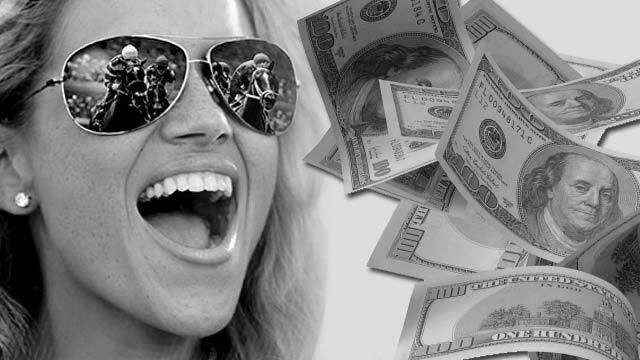 $1 Exactas on all races. $1 Trifectas on all races. $1 Pick Four on last four races. $2 Pick 6 on last 6 races. $2 Rolling Pick Threes begining on 1st race. Gulfstream Park Racing Association, Inc.